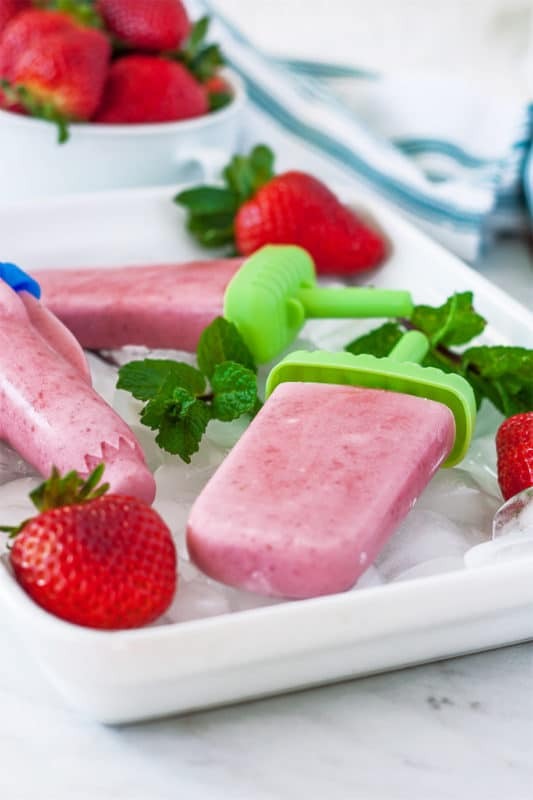 Creamy and so refreshing, you’ll love these incredibly delicious Strawberry Popsicles! Homemade healthy strawberry cream popsicles are a simple no-sugar-added vegan and dairy-free treat. The first fresh local strawberries that pop up in your grocery store and farmer’s market means one thing – winter is over and summer is here! You survived! Juicy seasonal strawberries taste so much better than the sad winter berries that are sold during the rest of the year. The joy that sweet summer berries can bring is only amplified when they’re transformed into an amazing and creamy popsicle. Kids love popsicles, and you’ll feel great knowing these are healthy and free of refined sugar. Hi, my name is Sarah Cook and I am the blogger over at Sustainable Cooks. Amanda was kind enough to let me share this recipe for creamy Strawberry Popsicles with you today. You’re going to love them! Popsicles are kinda my thing you see. These Refreshing Watermelon and Lime Popsicles are treated like currency by my kids. What Ingredients Are in Strawberry Popsicles? The creamy coconut milk makes these strawberry pops seem indulgent. The ingredients make this naturally dairy-free, vegan, and low fodmap (in moderation). You’re going to love how simple these are to create! Combine your strawberries and coconut milk in a blender or food processor. 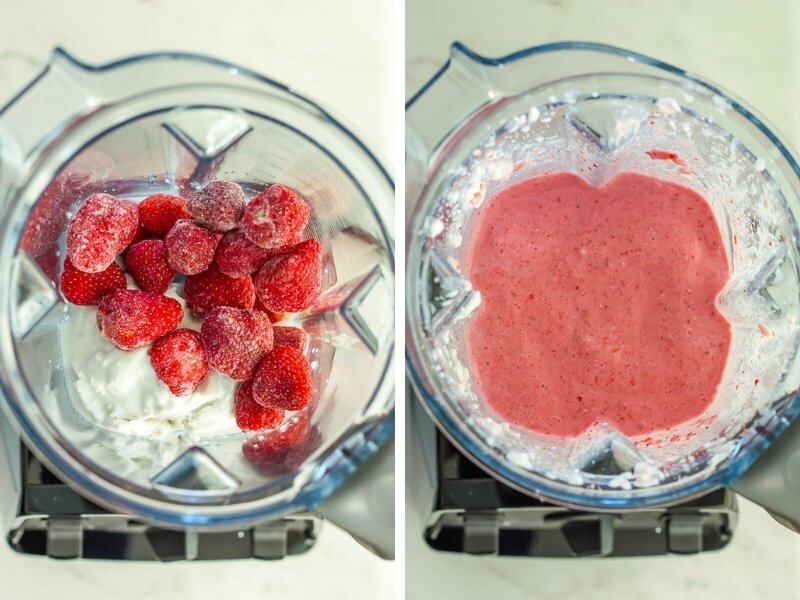 If your blender seems to have a death wish when it comes to frozen things, just make sure your strawberries have thawed out first. Blend everything until it is the consistency you want. Pro tip: if you want fruit chunks in your popsicles, gently fold in chopped strawberries into the mixture before adding to your molds. And then pour them into molds. Freeze for at least three hours and then enjoy! See? I said these strawberry popsicles were e-a-s-y. If your strawberries are underwhelmingly sweet, you can “perk” them up a little bit. Combine 1 tbsp of your preferred sweetener with the sliced strawberries and let sit for at least an hour. The sugar will draw out the natural sugars of the berries (this is called macerating) and amplify the natural sweetness of the strawberries. This recipe calls for full-fat coconut milk. The fat keeps the strawberry popsicles from becoming too icy in the freezer. If you want to use lighter coconut milk, see notes below about adding yogurt to even out the texture. If using fresh berries, use the ripest ones possible. This is a great recipe to use up overly ripe berries that are very close to crossing the produce rainbow bridge. 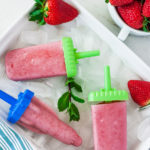 Slightly bruised berries that your picky family won’t eat become the perfect ingredient for this strawberry popsicle recipe. 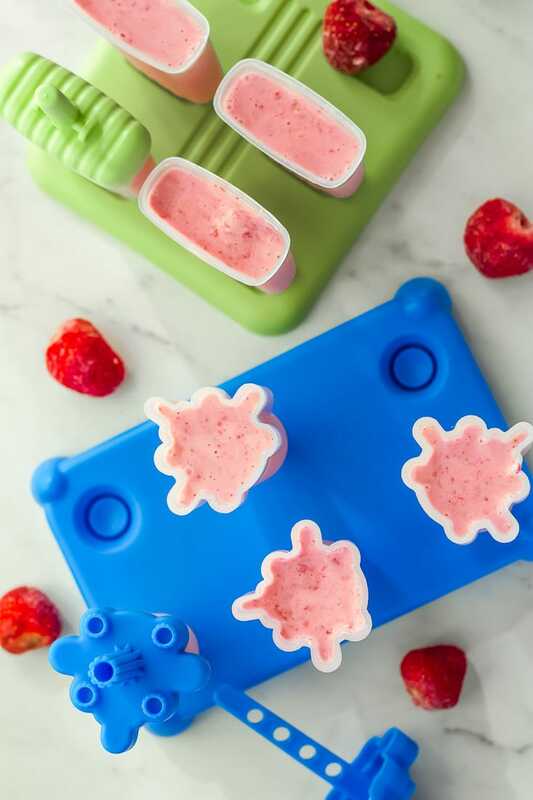 If you don’t have popsicle molds try freezing the mixture in ice cube trays. Add to a glass of plain or flavored sparkling water for a fun summertime treat. 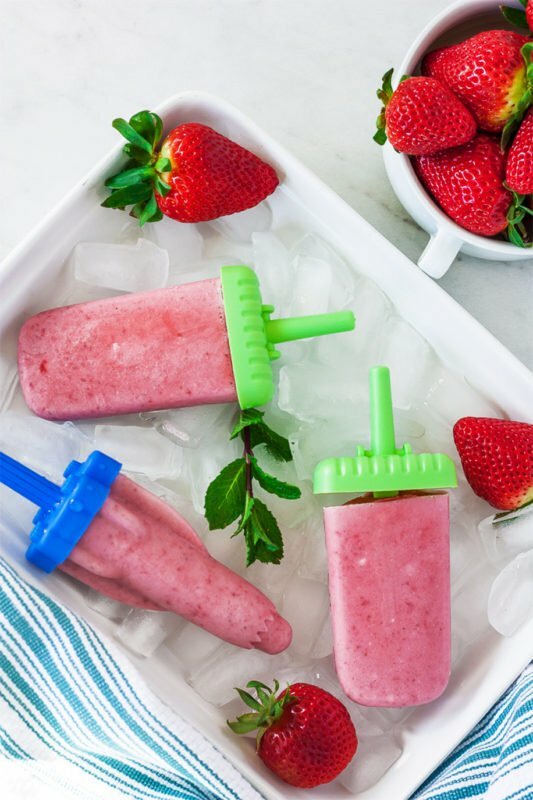 If you want to make these strawberry popsicles into strawberry yogurt pops, add 1 cup of your preferred Greek yogurt to the blender. Reduce the coconut milk to 1 cup. Sub in your favorite milk if you don’t like or can’t consume coconut products. Add in 1 tbsp of lime or lemon zest to perk up the flavor even more. Mix in chopped strawberries, peaches, other berries, or even kiwi slices for fun new flavors and textures. 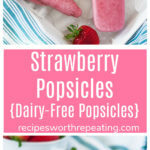 If you loved these Strawberry Popsicles, give this recipe a star review! Also, snap a picture of your finished dish and share it with me on Instagram using the hashtag #sustainablecooks and tagging me @sustainablecooks and @recipesworthrepeating. Creamy and so refreshing, you'll love these incredibly delicious Strawberry Popsicles! Homemade healthy strawberry cream popsicles are a simple no-sugar-added vegan and dairy-free treat. 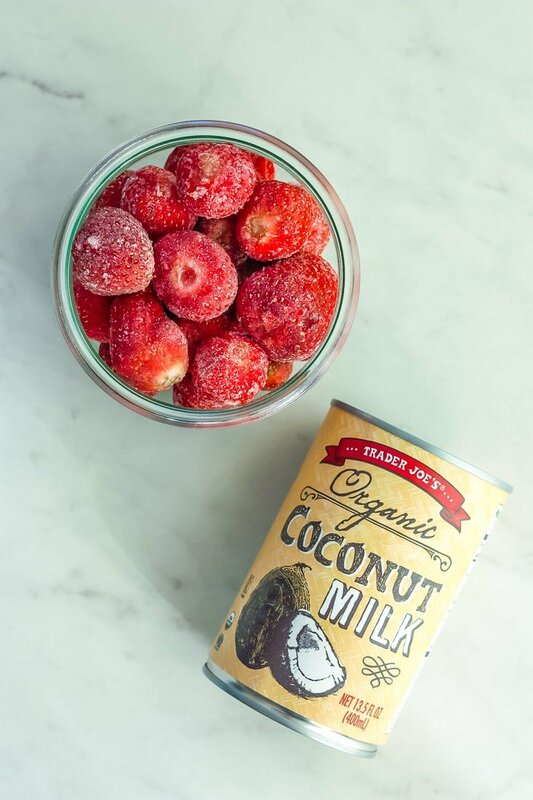 Combine your strawberries and coconut milk in a blender or food processor. Blend everything until it is the consistency you want. If you want diced fruit in your finished popsicles, gently fold that in now. Fill your popsicle molds and freeze for a minimum of 3 hours. If your blender struggles with frozen fruits, make sure they are thawed before mixing. If you don't have popsicle molds try freezing the mixture in ice cube trays. Add to a glass of plain or flavored sparkling water for a fun summertime treat. Sarah Cook is the founder of Sustainable Cook where she serves up family-friendly recipes that are mostly Whole30 and Paleo. Perfect for summer! What a fun and super easy to make idea! Drooling just thinking about enjoying these on a hot day. Thanks so much for sharing :). Thanks, Daniela! Can’t wait to hear how you like these!! So glad to hear!! Let me know how they turn out for you! !